Travelling is no excuse to skip on your skincare regimen. You are not alone. I know what a hassle it is to bring around all your skin care products whenever you go on a trip. I'm so tempted to leave it behind and save myself from carrying an extra ten pounds. (Yes, I have that many products with me!) But if there's anything that I've learned in my 23 years of existence, it's that it's better to be safe than sorry. 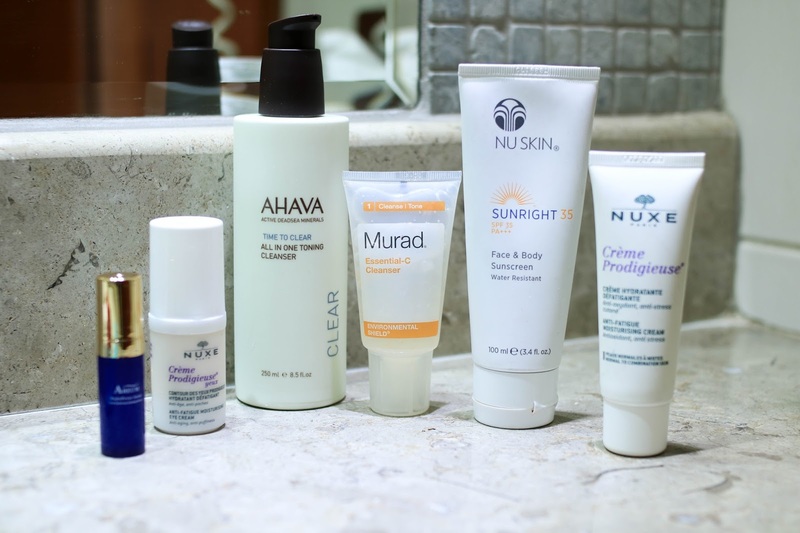 Let me walk you through my skincare regimen during my trip to the Holy Land. 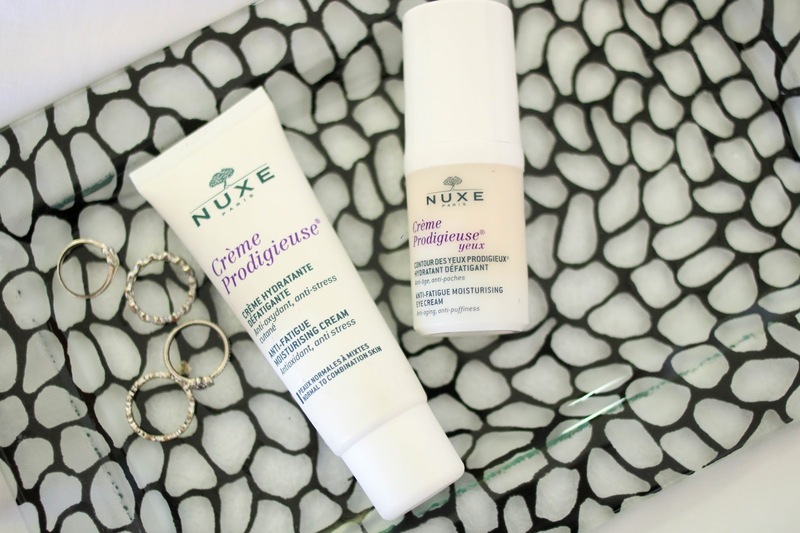 I brought with me my Nuxe products: Crème Prodigieuse (Moisturizer) and Crème Prodigieuse Yeux (Eye Cream). Both are hydrating to the skin. Since I knew it was very hot in the Holy Land, I was expected for my skin to dry out. Bare in mind, you should already anticipate how your skin will react in a new place so you can bring the products appropriate for the weather. Second Step: I used Ahava's all in one cleansing toner. It is so gentle on the skin but powerful at the same time. It also serves as a make up remover. I discovered Ahava's products while I was in Israel. All the Titas of Manila in my bus went crazy when they saw their products. They kept insisting that I tried it and so I did! Since it was my first time using the brand, I started with just purchasing their toner. I wanted to test how my skin would react to it and so far, my skin has been responding so well to the product. Third Step: I applied Areum's Radiant C- Serum to prep my skin. Again, you see that it has "C", that means it's rich in Vitamins. It's always good to bring products with vitamins when you travel because it's the best way to keep your face from drying out. Afterwards, I used Nuxe's Crème Prodigieuse Eye Cream and Moisturizer. Fourth Step: I put on Nuskin's Sunright Sunblock. I never leave without putting sunblock and you should never leave without it too! In my honest opinion, you can skip all the other steps except this because this is the most important. The sun is not your friend!